The Development of the Air Conditioner | Brennan Heating and Air Conditioning. Comfort You Can Count On. “I couldn’t live without air conditioning!” is a statement frequently uttered during the harsh summer months. The development of the air conditioner is an interesting story, but let’s take a moment to think about those who had to live through hot summer temperatures before there was air conditioning. Before the invention of air conditioning, people designed their homes to make them more livable during hot summers. Historic homes in hotter regions were built with high ceilings and large windows to increase airflow and help the heat escape. Homes were often built with multiple porches that could serve as makeshift bedrooms so people could sleep outside to escape the heat indoors. The first version of the air conditioner came into existence in 1902 when inventor Willis Carrier created an air conditioner prototype to keep his papers from wrinkling in the summer heat and humidity. This machine blew air over cold coils to control room temperature. Carrier’s technology would soon be adopted for commercial use by office buildings, hospitals and movie theaters. The air conditioning technology we know today would not be perfected until the World War II era when it was further developed for military use. After World War II air conditioners began to appear in private homes. Today homes are designed for central air conditioning and in many parts of the United States air conditioners are standard equipment. In fact it’s difficult to imagine how so many people could live in the Sunbelt region without it. 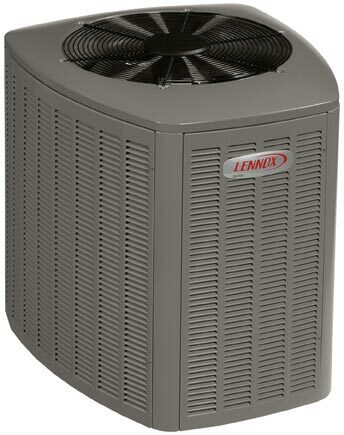 It may still be March, but that doesn’t mean it’s too early to think about air conditioners! At Brennan Heating and air conditioning our trained professionals are proud to provide top-of-the-line furnaces and air conditioning installation throughout the greater Seattle area. Looking for more information about your home HVAC system? Contact Brennan Heating and Air Conditioning today by calling: 1-877-273-6626 (1-877-BRENNAN) or sign up online for a free energy consultation! This entry was posted in Air Conditioners, Energy Star Products, Services and tagged Air Conditioning, brennan heating, cooling services. Bookmark the permalink.